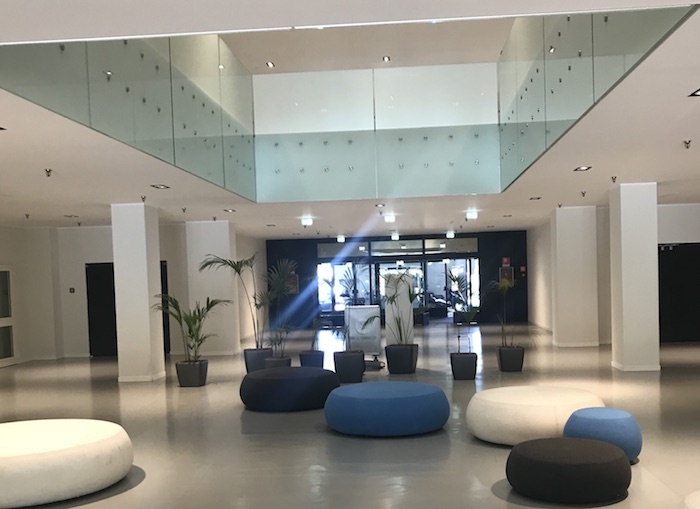 A Parans system has been installed in an inspiring way in Milano, Italy, in a restaurant and administration building in a business park with office hotels. 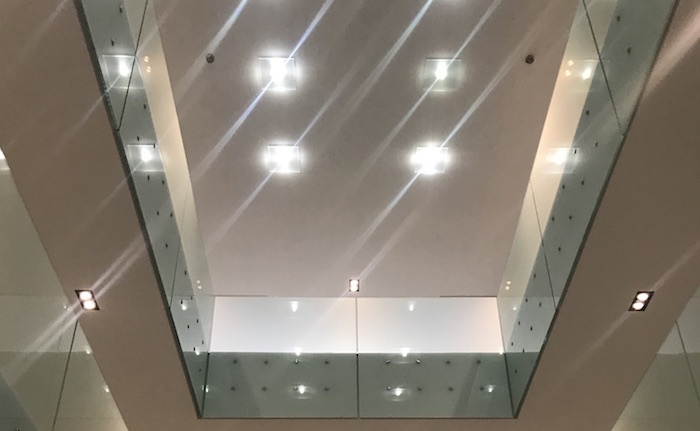 Parans’ luminaires have been installed in the top of a shaft and creates now a light shaft that gives light several floors down. The office building houses several thousand people, having their work place within the business park. Like many other buildings, it has a core which has limited daylighting via windows. The shaft, situated in the middle of the building, will create space for the premises. The Parans system creates a feeling of a light shaft, when spreading light from the pent floor to the ground floor, three floors down. 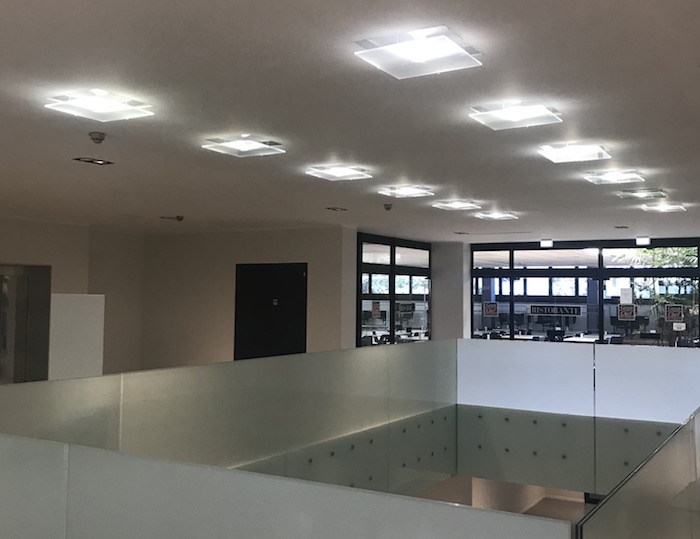 From the SP4 collector on the roof, 30 meters long cables lead the natural light through the property and the 12 luminaires spreads the light into the shaft. The experience is striking, both when the visitors steps through the entrance to the office building, but also for those who take a break in the sunlight.